PBI fabrics are renowned for their unique combination of flame resistance, durability and comfort, which is why they are first choice in protection for the most extreme conditions, from NASA’a astronauts, to emergency responders, the military and formula one drivers. In the 32 years since opening for business in Charlotte, North Carolina, PBI Performance Fabrics has created a legacy of protection that is recognised all over the world. Today, the company is a global force in personal protection in the Middle East, USA, Europe, Asia, and Australasia. The development process always has to take account of the balance between comfort and protection. That is why PBI has developed a wide range of fabrics that meet the need of every solution and work effectively as an integral part of every garment design. Each fabric has different properties and applications but every PBI fabric provides the required protection from heat and flame that an outer fabric must deliver. PBI fabrics will not become brittle or break open. PBI’s high performance protective fabrics are renowned for their proven protection from heat and flame, but they are also amongst the most lightweight and breathable available today. That is how they achieve high levels of comfort without ever compromising protection. 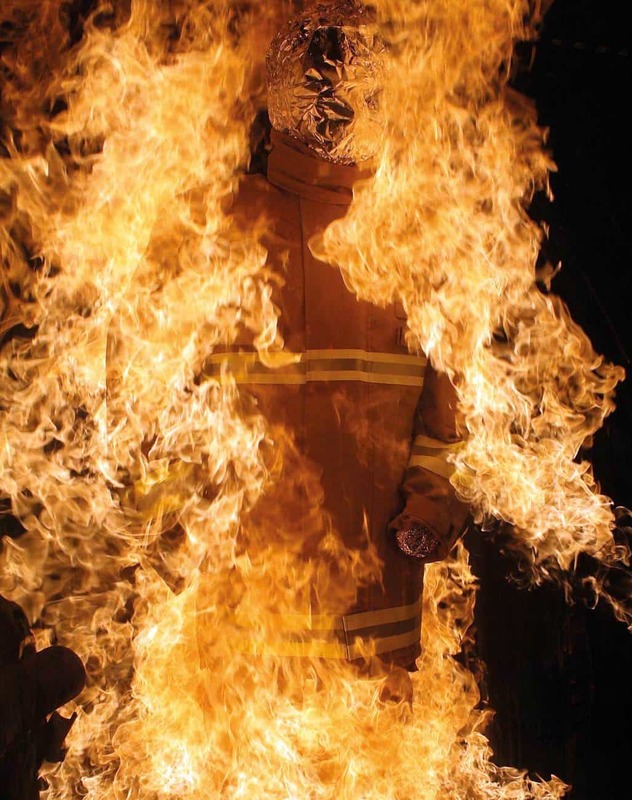 It is this unique combination of lightweight, breathable high performance outer fabric that sees PBI products chosen by fire services around the world. The company’s wide range of outer fabrics reflects the commitment to innovation, driving forward flexible new solutions that meet the needs of modern firefighting. This large portfolio includes PBI Gold, PBI Matrix, PBI Max, Gemini XTL, Titan 1260 and Ibena X55. PBI has worked closely with supply chain partners to create a wide range of fabric options. This helps manufacturers’ design teams to be even more innovative in the creation of new protection systems, driving forward product development to meet the needs of modern firefighting. PBI fabrics offer the combination of thermal protection that will not become brittle, shrink or break open, along with high levels of comfort, flexibility, and durability. They deliver excellent tensile strength. PBI’s thermal protection from exposure to heat and flame has been proven over many years of independent testing and performance in the field. PBI fabrics are integral to new PPE solutions that are being developed around the world. PBI Gold was the first fabric developed by the company that was specifically designed to protect firefighters and was instantly recognisable due to its distinctive golden colour. 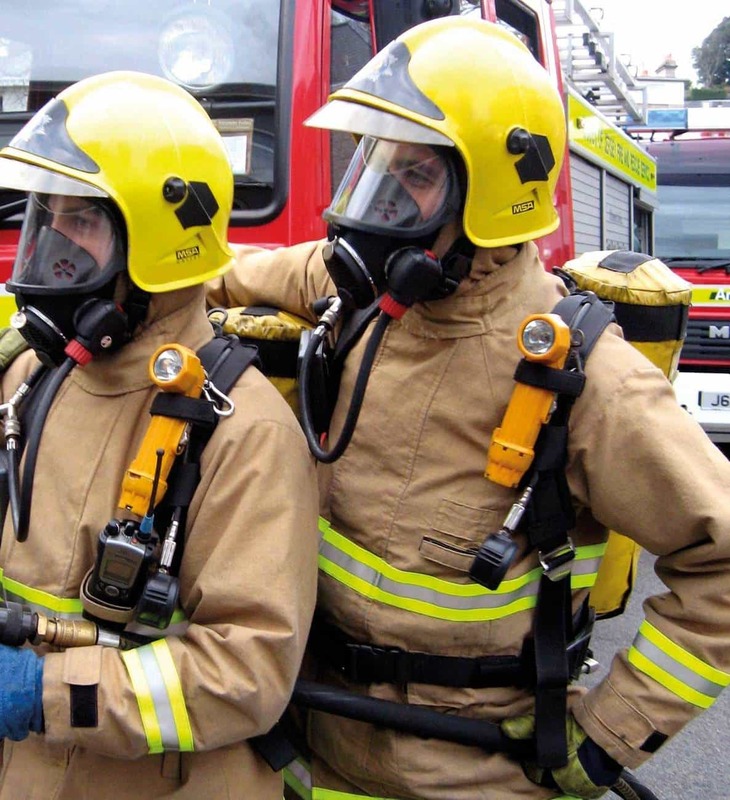 Today, PBI fabrics are also available in navy blue or black, offering a wider choice to fire services. However, it’s worth noting that lighter coloured outer fabrics make firefighters more visible, especially at dusk and dawn. In the summer a lighter coloured garment will absorb less warmth, helping to manage heat stress. With a lighter coloured fabric it´s easier to see any dirt and contamination on the garment, so these types of suits are generally cleaner than those that are dark and do not show up contamination as effectively. PBI Triguard®, a lightweight fabric that offers high levels of flame, heat and arc flash resistance, is now the standard in providing value and performance in the petrochemical, gas and electricity industries. The fabric remains supple after exposure to heat and flame and retains more than 85% of its tensile strength after 10 hours contact with hydrochloric acid, sodium hydroxide, acetone or petrol. PBI Baseguard™ has been specifically engineered to be worn as a base layer. It is incredibly light and soft, creating garments that are cooler, drier and absorb perspiration better than any other knit fabrics on the market. The fabric wicks eight times more sweat from the body than cotton and 1.5 times more than other aramid fabrics. Garments made with the fabric will not shrink or alter their shape with wear, unlike other more conventional next to skin clothing. “We have a programme of continuous investment in innovation and product development, which has ensured that PBI fabrics continue to deliver the highest performance in terms of protection and comfort for firefighters. “As a team we work very closely with fire and rescue services around the world to ensure that we have the best possible understanding of their needs and all of the operational situations that our fabrics have to perform in. Thanks to their proven high performance, PBI fabrics are consistently integral to new PPE solutions that are emerging as the market continues to innovate.